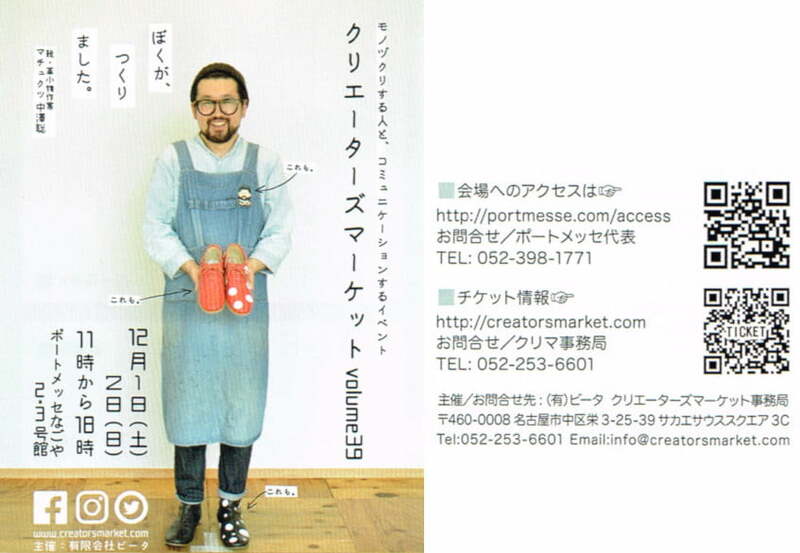 On December 1st and 2nd, monocircus will have a booth at the Nagoya Creators Market at Port Messe Nagoya. It is one of those events that we really look forward to, as we have been receiving many repeating customers during our past experience at this event in Nagoya. Visitors came by wearing our items, greeting and chatting with us with such friendliness and warmth. In conjunction with our Anniversary Sale, we will be offering our items at the event at 15% discount. 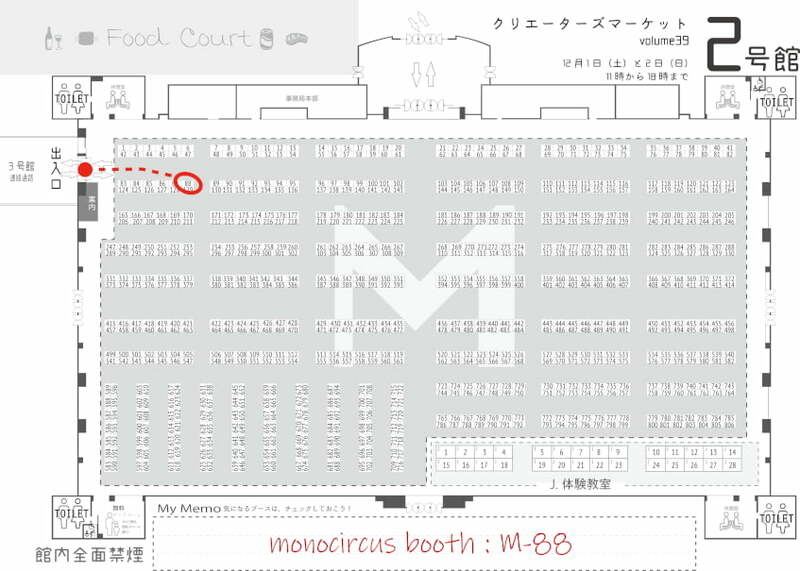 Monocircus’ booth is within Hall No.2, rather nearby the entrance of the hall at M-88.